Want to know what a long-term visit to the Czech Republic involves? And how to get a work permit? In this article you will find out what types of visas exist in the Czech Republic, such as the difference between long-term and permanent residence, what an employee card is, what’s needed to apply for a long-term visa and other such useful information. So, get comfortable, a trip through Czech legislation awaits you. The information below applies mainly to third-country nationals. These are citizens from non-EU countries, and are not citizens of Iceland, Liechtenstein, Norway or Switzerland. Every foreigner who visits the Czech Republic must meet the “reporting obligation” upon their arrival. Otherwise, he/she will commit a misdemeanour and charges against them can be made. Third-country nationals must apply to the relevant Foreign Police Department of the Czech Republic (at the place of the foreigner’s reported residence) within three working days of entering the Czech Republic. The obligation to report the place of residence to the police does not apply to a foreigner who has fulfilled this obligation with their accommodation provider. A foreigner fulfilling the reporting obligation must have a valid travel document and a completed registration form (to be downloaded in .pdf at https://www.policie.cz/clanek/hlaseni-pobytu-cizincu.aspx). The police officer is also entitled to request a valid travel insurance certificate. How long can you stay in the Czech Republic and what types of visas exist? 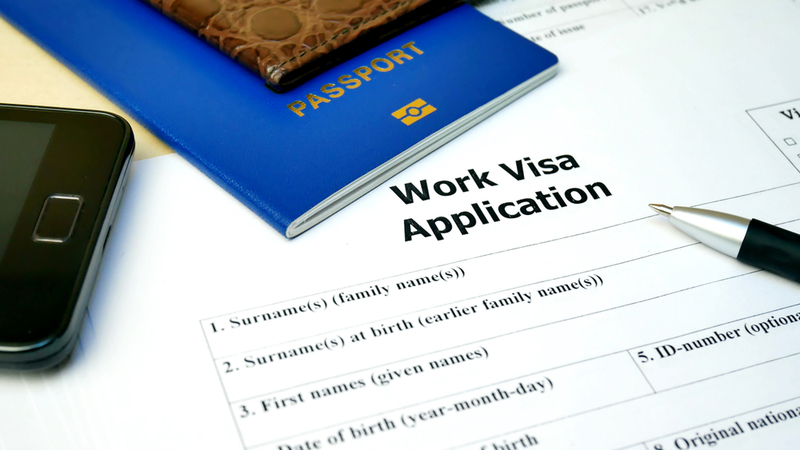 All visa applications must be submitted on the prescribed form, which must be accompanied by all necessary particulars for selected types and purposes of stays. Always submit originals or officially certified copies of documents (travel documents, marriage certificates, etc. are required in the original). All documents must be in Czech or officially translated into Czech. In addition, the extraterritorial documents of the Netherlands must be subject to a higher verification (apostille). The bureaucracy is governed by the Czech Republic, so please carefully read what documents you have to submit and follow the prescribed formats. Applications are subject to an administrative fee, and you may be asked to provide additional documents within additional time limits. Most requests are filed in person, all documents must be delivered in time within the specified deadline, otherwise you risk your application being denied. Specimens of documents issued in the Czech Republic can be found here: https://www.consilium.europa.eu/prado/en/prado-documents/EN / index.html. A short-term (Schengen) visa is issued for a maximum stay of 90 days during any 180 day period. It depends on which third country the applicant is coming from. The countries that apply the common visa policy are all Schengen States, Bulgaria, Romania, Croatia and Cyprus. The length of stay is determined by the entry and exit stamps in the travel document. The length of stays in the Schengen States is added up! The “Schengen Calculator” is an on-line tool to help calculate the number of days you have remaining in the Schengen area: https://ec.europa.eu/assets/home/visa-calculator/calculator.htm?lang=en. In the case of a bilateral visa-free agreement between the Czech Republic and the country of origin of a third-country national, it is possible to stay in the Czech Republic beyond the Schengen rules for short-term stay (90/180). The application is submitted in person and must be filled in on a special form. You must submit it to the Embassy of the State of the Schengen Area, which is the sole or main objective of your travel (ie the state where you will be the longest). The deadline for processing the application is 7-15 days, so the application should be submitted no later than 15 days before your trip, otherwise it will not be settled in time. You can apply 3 months in advance of your departure. Short-term visas are issued by the Ministry of Foreign Affairs of the Czech Republic. If you have a short-term (Schengen) visa for employment, you can work in the Czech Republic. This request is usually processed within 4 business days. A long-term visa is issued for a stay in the Czech Republic exceeding 90 days. The application must be filed in person at the embassy office of the Czech Republic abroad, the application can only be made in the Czech Republic in legal cases. The Ministry of the Interior of the Czech Republic is responsible for handling the request. The long-term visa entitles the applicant to repeated departure and entry into the Czech Republic. How long can you stay in the Czech Republic with a long-term visa? A residence visa of more than 90 days is granted for a specific period of stay corresponding to the intended purpose of the stay, but for a maximum period of one year. An extension of a long-term visa in the Czech Republic is possible if it has the same purpose of residence. During the application process the applicant may be invited to interview, complete the documents within specific deadlines, complete the prescribed forms, etc. Failure to meet any condition or time limit may lead to a decision not to grant a long-term visa. The deadline for processing the application is 90 days from the application, in complex cases 120 days, in special cases (research, study, pedagogical activity) 60 days. This application is submitted personally at the local representative office of the Czech Republic. A long-term visa for seasonal employment is issued for a maximum of 6 months and a work permit from the Czech Labor Office is required. Long-term residence is intended for foreigners who wish to stay in the Czech Republic for more than 6 months. it has the same purpose of residence. The time limits for examining applications vary according to the purpose of the stay. The Employee card is a type of long-term residence permit where the purpose of your stay (longer than 3 months) is employment. It is intended for all types of employment irrespective of the degree of professional competence. Permits a stay in the Czech Republic whilst working (replaces a long-term visa for employment and a long-term residence permit for employment). It is most often issued for the duration of the employment-legal relationship between the employee and the employer, but for no longer than 2 years. It may be repeatedly extended. The deadline for deciding on an application for an employee card is 60 days, in particularly complex cases, 90 days. Who is the employee card for? For foreigners from all countries outside the EU / EEA and Switzerland. An employee card is always linked to a particular job position. The Blue Card is for foreigners who have a university degree or higher professional education (if the study lasted at least 3 years), whose salary is at least 1.5 times the average gross annual wage in the Czech Republic. Such a post must be entered in the central register of vacant posts occupied by the holders of the blue card. Who can apply for a permanent residence in the Czech Republic? A foreigner staying in the Czech Republic for a continuous period of at least 5 years may apply for a permanent residence permit. The application must be submitted in person according to the place of reporting at the Ministry of Foreign Affairs of the Czech Republic. The application will be decided within 60 days from the date of filing in the Czech Republic and within 180 days from the date of filing the application to the Embassy of the Czech Republic abroad. During the application process you have the opportunity to inspect the file. If you are a family member of an EU citizen for at least 1 year, you can apply for permanent residence after 2 years of continuous residence in the Czech Republic. Holders of residence permits have free access to the labor market pursuant to Section 98 of the Employment Act. Further (practical) information can be found on the Ministry of the Interior website: https://www.mvcr.cz/clanek/informacni-publikace-pro-cizince.aspx.